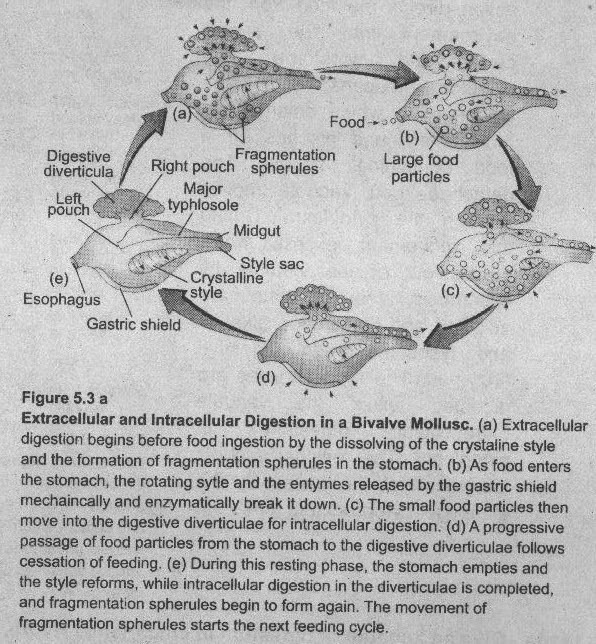 Describe the structure of vertebrate eye. All vertebrates possess complex camera eyes. A camera-type eye contains in the front a light-tight chamber and lens system, which focuses an image of the visual field on a light sensitive surface (the retina) in the back (Figure 2.27). The spherical eyeball is built of three layers,(1) a tough outer white sclera or sclerotic for support and protection. (2) middle choroid coat, containing blood vessels for nourishment, and (3) light-sensitive retina. 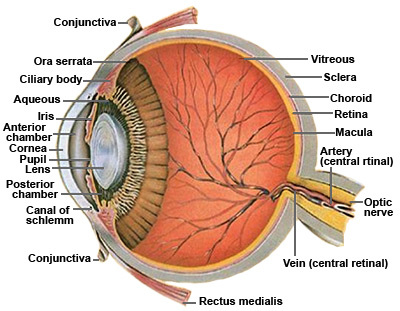 The retina is composed of several cell layers. The outermost layer, closest to the sclera, consists of pigment cells. 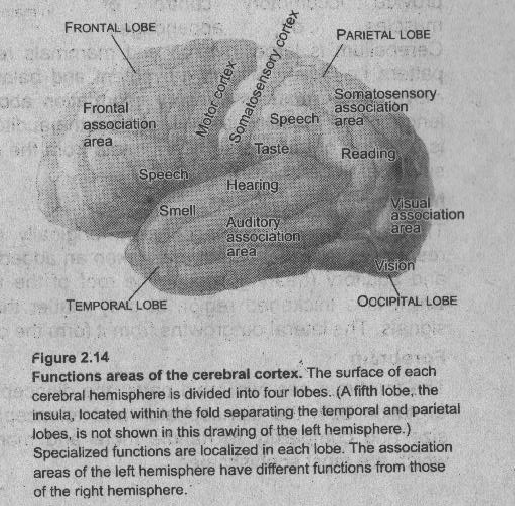 Adjacent to this layer are the photoreceptors, rods and cones. 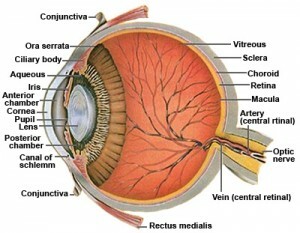 Approximately 125 million rods and 1 million cones are present in each human eye. Cones are primarily concerned with color vision in ample light; rods, with colorless vision in dim light. Next is a network of intermediate neurons (bipolar, horizontal, and amacrine cells) that process and relay visual information from the photoreceptors to the ganglion cells whose axons form the optic nerve. The network permits much convergence, especially for rods. Information from several hundred rods may converge on a single ganglion cell, an adaptation that greatly increases the effectiveness of rods in dim light. Cones show very little convergence. By coordinating activities between different ganglion cells, and, adjusting the sensitivities of bipolar cells, horizontal and amacrine cells improve overall contrast and quality of the visual image. The fovea centralis or fovea, the region of keenest vision, is located in the center of the retina, in direct line with the center of the lens and cornea. It contains only cones, a vertebrate specialization for diurnal (daytime) vision. The acuity of an animal’s eyes depends on the density of cones in the fovea. The human fovea and that of a lion contain approximately 150,000 cones per square millimeter. But many water and field birds have up to 1 million cones per square millimeter. Their eyes are as good as our eyes would be if aided by eight-power binoculars. At the peripheral parts of retina only rods are found. Rods are high-sensitivity receptors for dim light. At night, the cone filled fovea is unresponsive to low levels of light and we functionally become color blind. 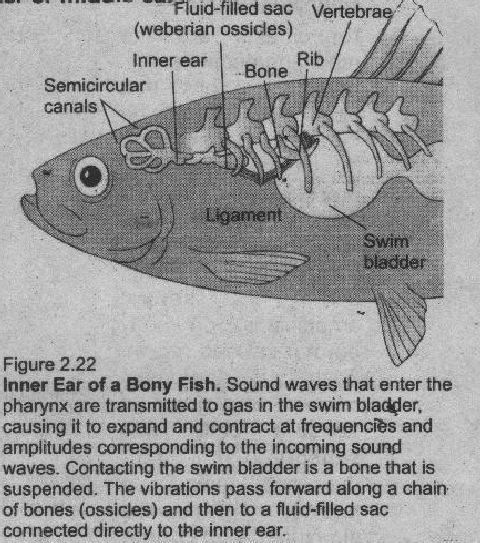 Home » Zoology » Describe the structure of vertebrate eye.